Did You Know That You Can Create PageRank? I begin my career as a web developer, further I have extends my skills to web project management, SEO expert and keyword analyst. Prior to our previous article about Google PageRank, today I want to talk to you more about Google PageRank, and about how you can actually create PageRank within your websites! 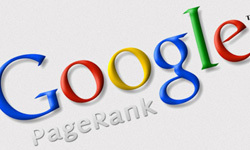 What is Google PageRank? It is an algorithm created by the founders of Google to estimate the importance of web pages for a Google. The basic idea behind the PageRank algorithm is the fact that a link (also called hyperlink or backlink) from page A to page B can be seen as a vote of trust from page A to page B. The higher the number of links that are pointing to a page, the higher its PageRank will be, and the higher its rankings inside Google’s search results. One detail that you need to keep in mind is that each link has a specific value, which is determined by the PageRank of the page where the link is located divided by the total number of outgoing links on that page. For instance, if a page has a PageRank value of 8 and 4 outgoing links, each of those links will pass 2 points of “link juice” (the calculations on the algorithm are more complex, but this is the fundamental idea behind Google PageRank). Many of us focus only on getting external links to increase their PageRank, but they forget that internal links also pass link juice, and this is how you can create PageRank within your websites. Now let me use a simple example to illustrate the concept. Suppose that you just created a website with one page only, the homepage. At this point your website has a PageRank of 0, because it will not even indexed by Google. You then convince a friend to link to your website. The page where the link is placed has a PageRank of 10 and 2 outgoing links, so your website is receiving 5 points of link juice from that link. Now your website would have a PageRank of 5. If you then proceed to create a second page on your website, linking to it from the homepage, that second page would also receive 5 points of PageRank from the homepage link, increasing the total PageRank of your site to 10. By adding a second page to your site, you managed to actually create PageRank. As we mentioned before, the calculations of the PageRank algorithm are more complex, but the basic concept remains. That is, every time Google indexes a new page from your website, the total PageRank within your website will also increase, because that page will be receiving link juice from the other internal pages of your site. Getting external links is obviously essential to having a high PageRank, but increasing the number of pages that Google indexes from your site can also help, and most people neglect this. For example, if you are trying to position your mini website on the first search result for a specific keyword you could try adding more pages of content to that site, to increase its overall PageRank. Finally, if you want to monitor how many pages Google is indexing from your website, simply search for “site: yourdomain.com” on Google. (For example, “site:webdesignfact.com”).